Is your organisation child and family friendly? Communities for Children are calling for more organisations, businesses and community venues to become more child and family friendly and support social inclusion of all children – including those most vulnerable. Communities for Children Onkaparinga has developed a Child Friendly Charter and information pack to provide guidelines and support for organisations and communities towards the development of environments that meet the needs of children and their families. 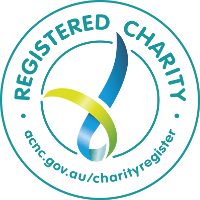 According to Community Development Officer Tracey Malliaros the charter information packs are tailored for organisations, businesses and other community groups. “We want to be able to provide maximum support to our various organisations and communities to help them become more child and family friendly”. Communities for Children Onkaparinga work with organisations and communities based in the suburbs of Hackham, Hackham West, Christie Downs, Morphett Vale, Lonsdale, Aldinga, Aldinga Beach and Sellicks Beach. Take the Challenge – contact Tracey Malliaros on 8392 3176 or [email protected] to find out how you can be a part of this great initiative. Click here for more information on the Communities for Children program. Is your community child and family friendly?